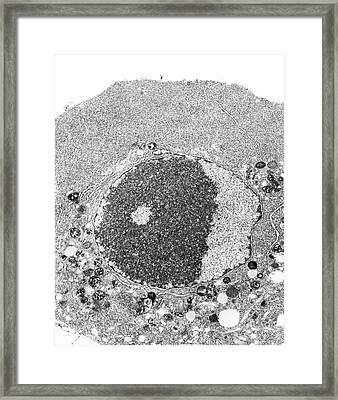 Hela Cell is a photograph by Marian Miller which was uploaded on July 24th, 2016. HeLa cell. Transmission electron micrograph (TEM) of a section through a HeLa cell undergoing apoptosis (programmed cell death) 18 hours after 30 J radiation. 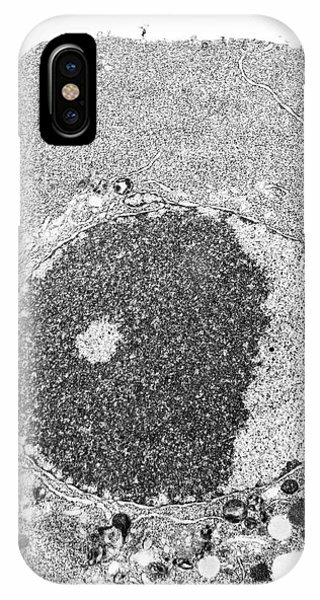 HeLa cells are a continuously cultured cell line of human cervical cancer cells. They are immortal and so thrive in the laboratory and are widely used in biological and medical research. 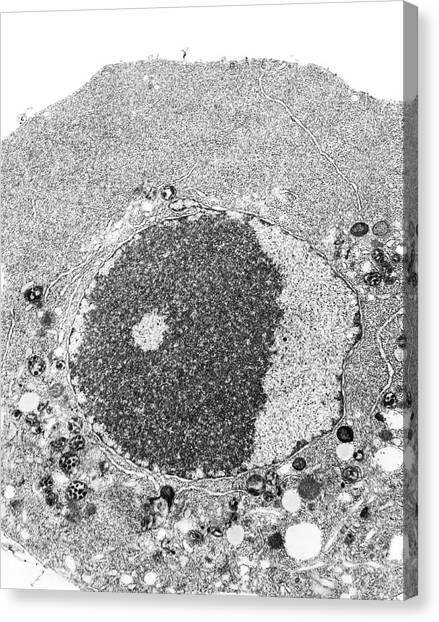 Seen here are the cytoplasm, nucleus, numerous free ribosomes, condensed mitochondria and vacuoles. 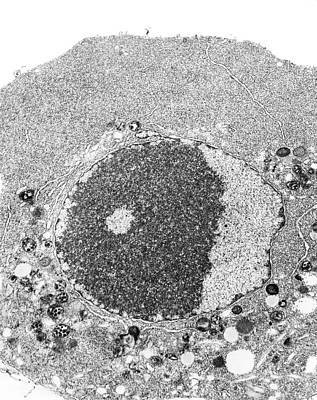 Within the nucleus is a large area of nucleosomal DNA (deoxyribonucleic acid), rough endoplasmic reticulum (RER), many nuclear pores and condensed chromatin. 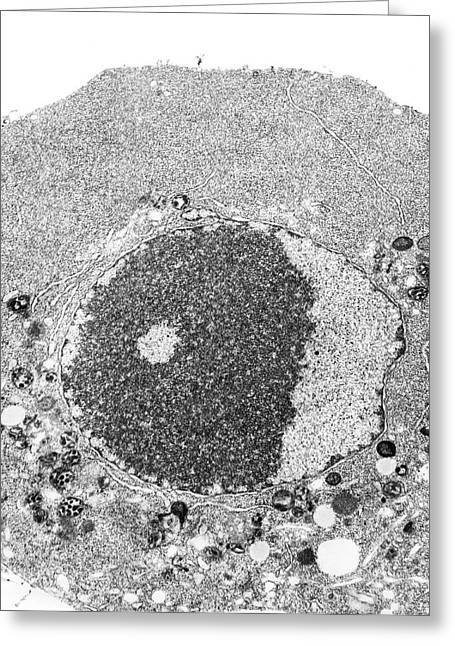 Apoptosis occurs when a cell becomes old or damaged. 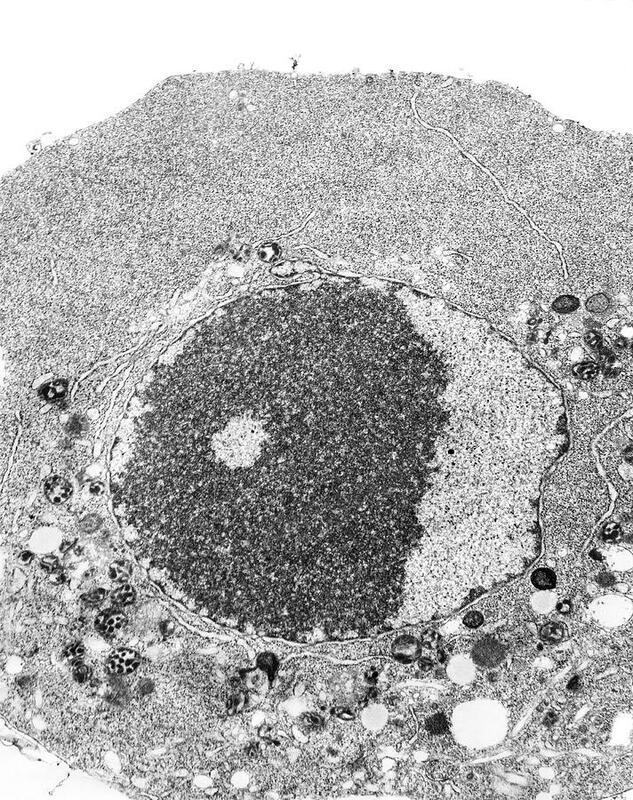 There are no comments for Hela Cell. Click here to post the first comment.